Community foundations are grantmaking public charities that are dedicated to improving the lives of people in a defined local geographic area. They bring together the financial resources of individuals, families, and businesses to support effective nonprofits in their communities. Community foundations vary widely in asset size, ranging from less than $100,000 to more than $1.7 billion. Community foundations play a key role in identifying and solving community problems. In 2011, they gave an estimated $4.3 billion to a variety of nonprofit activities in fields that included the arts and education, health and human services, the environment, and disaster relief. The Community Foundations National Standards Board confirms operational excellence in six key areas—mission, structure, and governance; resource development; stewardship and accountability; grantmaking and community leadership; donor relations; and communications. Foundations that comply with these standards can display the official National Standards Seal. Right now nearly 500 community foundations have earned the seal. More than 750 community foundations operate in urban and rural areas in every state in the United States; currently, more than 570 belong to the Council on Foundations. The community foundation model also has taken hold around the world. According to the 2010 Community Foundation Global Status Report, there are 1,680 community foundations in 51 countries. Forty-six percent exist outside of the United States. You can use our Community Foundation Locator to view a list of community foundations in the United States. Below is everything on our site for community foundations. We highly recommend that you use the navigation or our search feature to find what you're looking for on our site. Since 1980, the Council's Grantmaker Salary and Benefits Survey has provided the sector with the most comprehensive data on staff composition and compensation in the U.S. Grantmakers rely on this annual report to plan budgets, benchmark personnel policies and practices, determine salary levels for new and existing staff, and more. 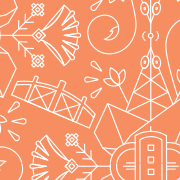 Your participation in the GSB survey is needed—the greater the participation, the greater the insights for the sector. Community Foundation Excellence (CFE) Finance Course—Washington D.C.
A well-trained staff and an informed board are critical to the success of community foundations in our fast-changing world. This two-day course helps new and experienced community foundation staff build the essential skills they need to balance governance and management. 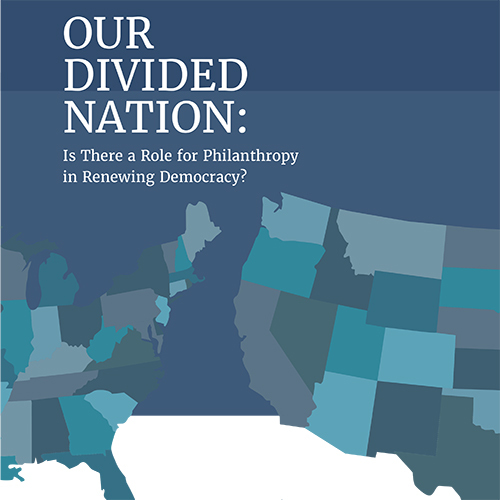 Our Divided Nation: Is There a Role for Philanthropy in Renewing Democracy? American democracy faces challenges that raise difficult questions for philanthropy. Has the foundation world done everything it can to shore up democratic values and aspirations, or has it pursued its own ideas of the public good and turned a blind eye to these challenges? When I meet with leaders of community foundations, bringing back the Council’s former Community Foundation’s Fall Conference tops the list of requests. I share in your desire for the Council to provide a better space for community foundation leaders to network and engage around issues that impact our work. And I’m pleased to report that this desire is fully endorsed by the Council, including our new President & CEO, Kathleen Enright. Please note, we will take a break from publishing Washington Snapshot while Congress is on recess from April 15-26, as well as during the week of the Leading Together 2019 Conference. Our next edition is scheduled for May 9. However, if any important executive or regulatory developments occur, we will send an update. Interested in the Grantmaker Salary and Benefits Report? Join Council staff for a demonstration of the survey process and learn how you can participate in this important resource for the field. CyberGrants presents "The Seven Deadly Sins of Grantmaking"
Grantmaking tends to be a pretty virtuous endeavor. However, given the complexity of the process and endless details and data, it’s easy to fall prey to one of the many “deadly sins of grantmaking”. In this interactive session, we’ll highlight some common “sins” and how to avoid them. We’ll share best practices gained from 20 years of experience working with the world’s most generous and sophisticated grantmakers. What do you do when you have a difficult and complex problem? If you’re like me, you start by trying to understand it. You think the problem through from all angles, looking at the data, talking to people in your community. You study the problem, inside out.